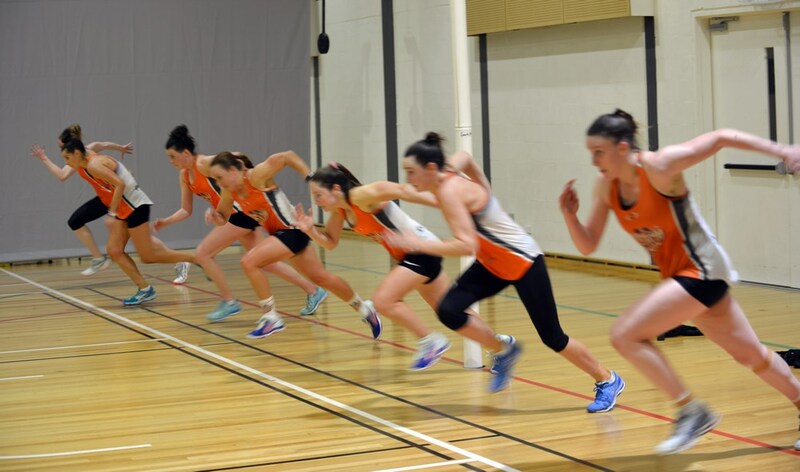 “Ranell Hobson from ASSA is one of the leading experts in Australia at making athletes strong, fast and explosive. “Brilliant discussion and Practical work” – Brad Newton, Strength and Conditioning Coach, Adelaide Crows FC AFL. “This lady is amazing…” – numerous coaches and players all over the world. Ranell will be presenting 3 workshops at this prestigious event in Singapore in ate June. It will be absolutely amazing so click the button below to access the official website with information on all of the speakers, events and booking details. Ranell will be hosting pre and post conference workshops on Athletic Development as well as intra-conference presentations on Running. Again this is an event not to be missed with a full program of amazing presenters and topics to challenge you and change you. 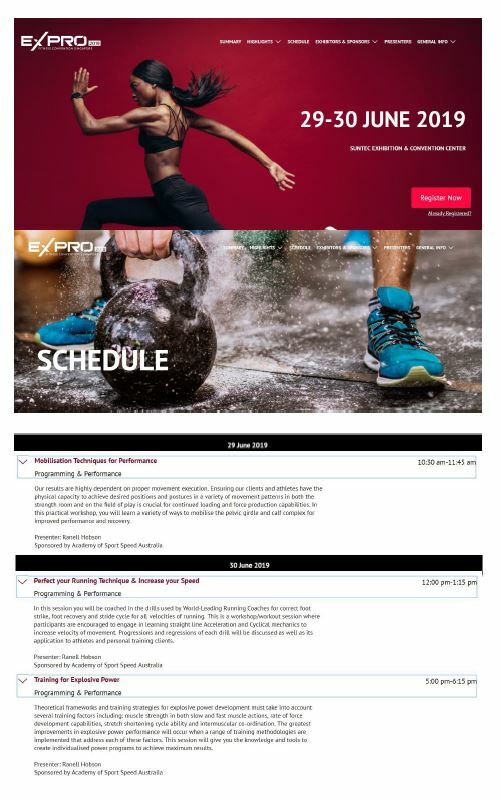 The ASCA International Conference on Applied Strength and Conditioning, partnered by ECU, is the largest gathering of strength and conditioning professionals in Australia and is one of the premier annual strength and conditioning conferences that attracts presenters and delegates from across the globe. The aim of the Conference is to provide delegates with the progress and research being made in latest techniques and technologies as well as practical application. The 2019 Conference will have a strong focus on practical sessions that provide delegates with hands on experience as well as keynote sessions, interactive and lecture style sessions, TSACA sessions and round table discussions. Ranell's Presentations (Theory and Practical) | "Making sense of Running Economy, Running Efficiency, Acceleration & Max Speed Training from a programming perspective"
Presentation Outline | Most field and court sport athletes require technical proficiency and physiological efficiency in all velocities of running (jog, run, accelerate, sprint). This presentation will provide attendees with ideas for programming both technical and physical qualities across a season, a week, a session. What constitutes an effective amount of training and the principles surrounding development and maintenance will be discussed. STRENGTH TRAINING FOR SENIORS 2 DAY COURSE : SINGAPORE AUGUST 3-4TH 2019. Where : Singapore August 3 - 4th 2019. Join award winning Fitness Industry educator Ranell Hobson for two days of Strength and Conditioning for seniors. From the very frail to the senior elite, learn everything you need to create physically fit, strong, mobile and stable senior clients. This is a Practical course that compliments the Senior Fitness Specialist Theory course. Participants will spend one day in each discipline (Strength Training and Cardiovascular Conditioning) developing practical strategies to maximise training adaptations for Senior clients. Educator Ranell Hobson is an award-winning teacher and presenter who has been delivering courses and workshops to Fitness Industry Professionals for over 20 years. As Fitness Industry professionals we know that everyone can benefit from lifting weights, older adults can reap even more benefits, giving them a stronger, healthier body. Increasing their musculoskeletal strength helps them avoid injuries, falls, pain, and other issues associated with ageing.In this one-day Strength for Seniors course you will learn a full range of exercise progressions in all 6 key functional movements to provide the best specialized one-on-one training for older adults ranging from the frail to the athletic. Cardio respiratory health is the key to all other factors of well being, increasing mitochondria number and size, increasing capillarisation throughout the tissues of the body and increasing the strength of the heart musculature positively impacts our quality of life providing us with energy and vigor. 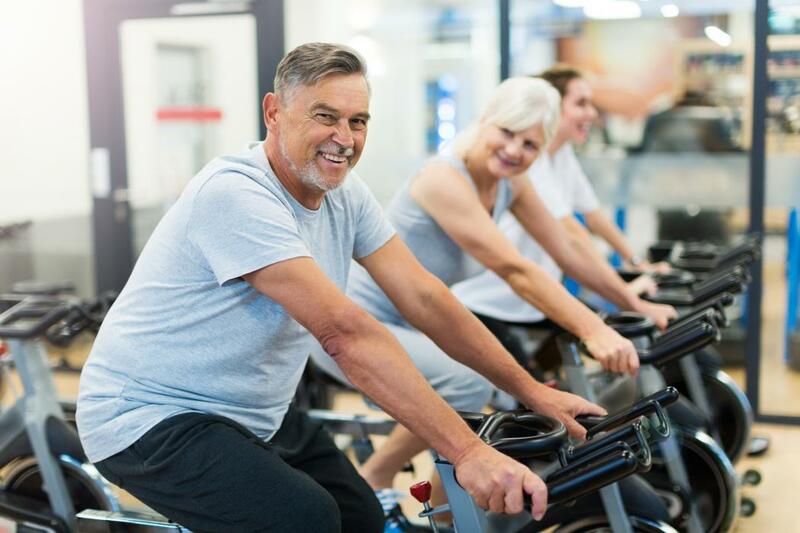 In this one day focus on Cardiorespiratory training for seniors you will be provided with a large bank of modalities to train your Senior Clients. Using case studies and working in groups you will build competencies in delivering fusion, fartlek, interval, continuous and simple set sessions in both aerobic and anaerobic systems. For bookings please click the button below to visit the FIT-Singapore website and the page dedicated to this course. Ranell is bringing her expertise in all things sport speed to the capital cities of Australia in 2019. Organise with your club or sporting organisation to host her visit for sessions that will maximise your players athletic performance. 1. The 2 hour players clinic involving an introduction to speed and change of direction mechanics training for all field and court based sports. Limited in attendees and ages 13+. 2. The 3 hour coaches workshop involving theory and practical components that is perfect for time-poor professionals. This is a condensed version of Ranell’s excellent full day course. 3. The full day (9 hours) speed coaching course comprising 4 hours of theory and practical application. This is a fantastic day that will change the way you view your athletes and includes lifetime access to course videos and speed training sessions. 4. A one hour assessment session of players movement capacities and competencies. Held in small groups these hour long sessions are sensational for identifying weaknesses and restrictions in hips, knees and ankles which may lead to, or be causing chronic injury, and providing real home based training programs to fix the issues found. The program is designed to ensure that coaches who want to learn how to coach technical proficiency, increase their player’s speed and overall efficiency and decrease their risk of injury, can do so in the best possible learning environment from a true sport speed specialist. Sport Speed presenter Ranell Hobson (Australia) will take you through leading technical drills to maximise performance in straight line and multidirectional speed. These drills and combinations can be applied to any field or court based sport to unlock the true athletic potential of yourself or your players. You will also gain an understanding of the science foundations behind explosive speed; how to maximise potential and keep yourself and your team injury free. Learn how to identify and correct inefficient speed and movement mechanics in your players that will reduce their risk of injury and increase on-field efficiency. This course comprises theory and practical components that will provide you with skills and drills that you can implement into your current training and coaching programs immediately looking at speed mechanics to maximise athlete efficiency – including Biomechanics, Physiology & Physics of Sport Speed. Adelaide Crows FC Strength and Conditioning coach. Former Head of High Performance Port Adelaide AFL, now Arsenal FC UK. Southampton FC Head of Academy. Aspire Academy Qatar, Formerly ProFormance Uk and ChildtoChampion UK conference convenor. Head of Sports Science FFA, Socceroos World Cup Qualified 2018. Ranell Hobson has over 20 years experience teaching sport speed and agility. 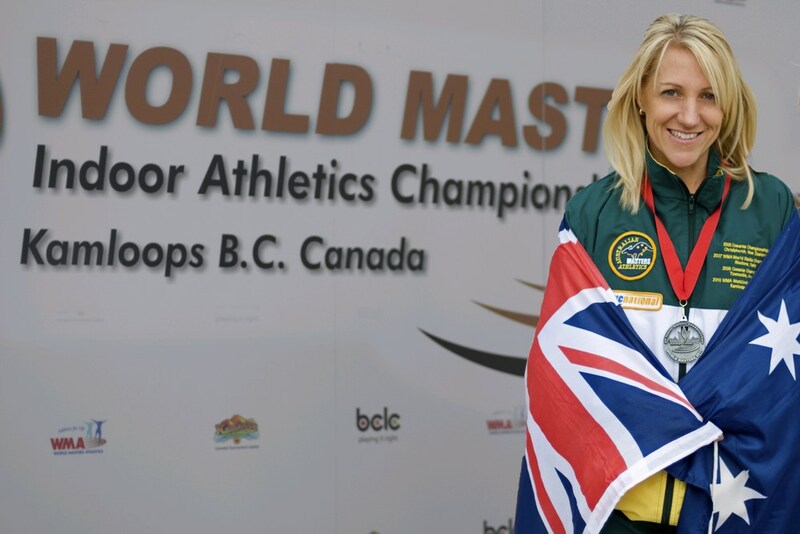 She has national and international qualifications relating to sport speed as well as currently training and competing at the highest international level for sprints. As such, she is in the unique position of not only knowing what she is talking about, but also actively pursuing excellence in speed on the worldwide stage for herself. THERE IS A REAL DIFFERENCE BETWEEN SPEED TRAINING FOR TRACK ATHLETES AND SPORTS TEAMS PLAYERS and Ranell has researched this thoroughly to ensure that her programs are specifically suited to the athlete’s needs for their chosen code. She has created training programs that are specific to increased sport speed for your athlete’s designated sport. She has also personally trained the ASSA coaches in order to provide the athletes with the best possible learning and training environment. She has recently completed her Masters degree in Sports Coaching at UQLD and alongside her CSCS and ASCA Level 2 certifications, she is also an award winning teacher and presenter. She has presented workshops and courses all over the world, most notably at youth academies of EPL clubs Arsenal, Southampton, Brighton, Crystal Palace and Leicester. She has worked with players and teams at all levels of performance. BOOK NOW – CLICK HERE TO BE TAKING TO THE SITE TO LOCK IN YOUR PLACE NOW OR CALL KIP ON 0414 706 482.